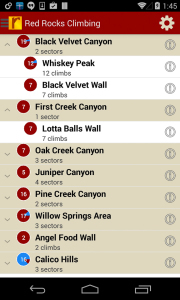 Red Rocks Climbing provides well over a hundred fifty climbs with SuperTopos for the best single and multi-pitch trad climbs at Red Rocks such as Cat in the Hat, Crimson Chrysalis, Levitation 29, Frogland, Prince of Darkness and many more. 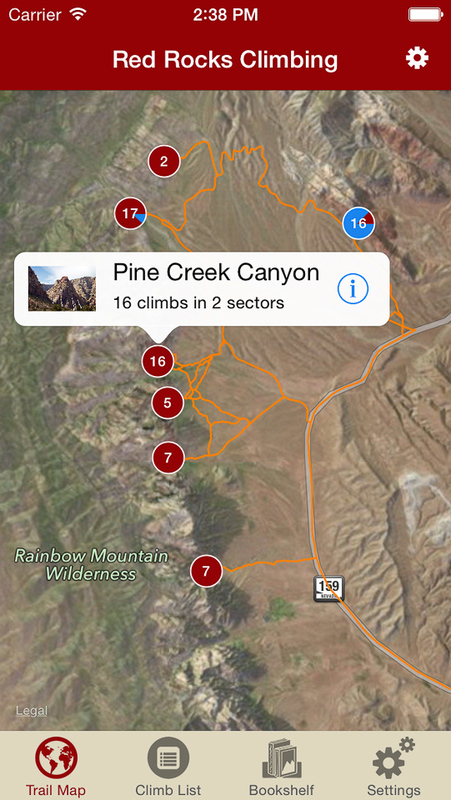 And with turn by turn navigation to every climb, it's easy to find the climb you're looking for. 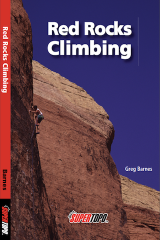 This guidebook is perfect for climbers making their first trip to Red Rocks or returning climbers who want to tick off a trad classic and not get lost while doing it. If you want the comprehensive guidebook to Red Rocks, this guidebook isn't for you, you want Jerry Handren's excellent "Red Rocks A Climber's Guide II" Buy it on Jerry's website at redrocksguidebook.com. 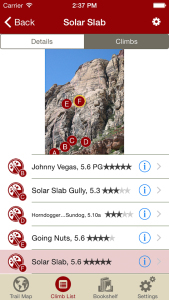 Red Rocks A Climber's Guide. Browse Red Rocks via our interactive trail map and orient yourself easily. 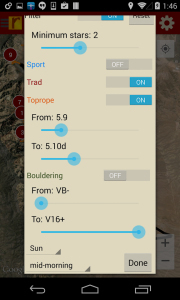 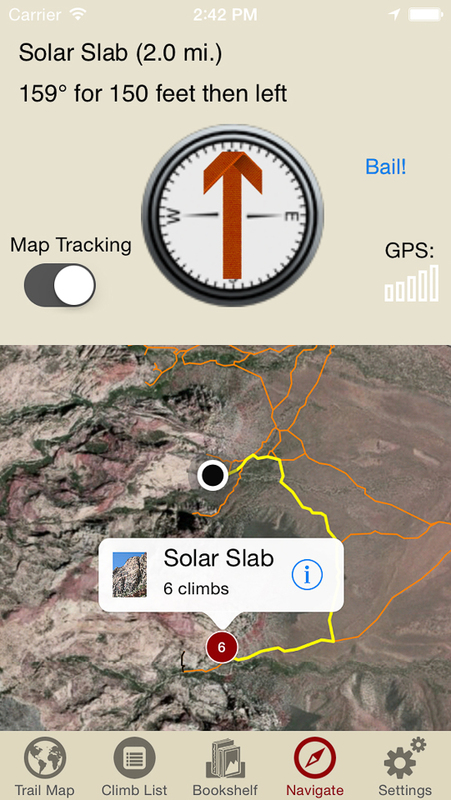 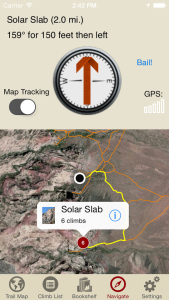 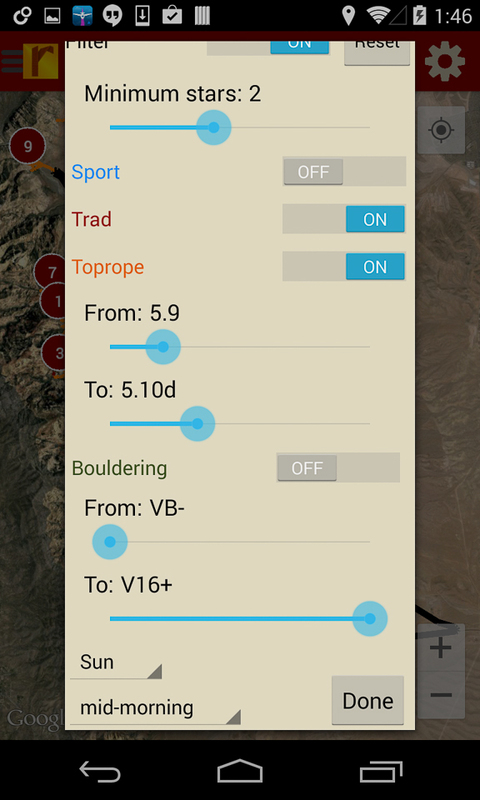 Never get lost in the twisty canyons of Red Rocks again with turn-by-turn GPS navigation! The SuperTopo Red Rocks guide features the mega-classics you won’t want to miss! 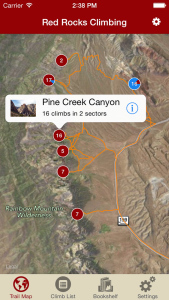 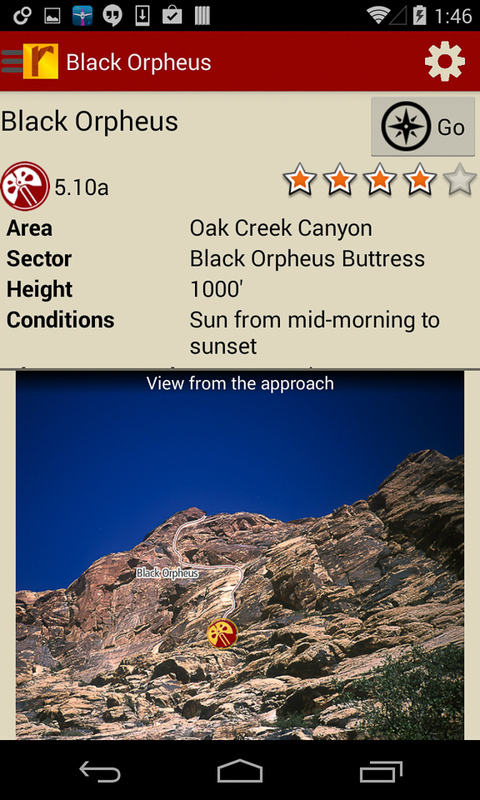 Amazing detail about every climb includes photos, strategy, history, and detailed descriptions.